Please post ONLY Blue Metallic MX photos in this thread. All interiors welcome, only post your best shots. 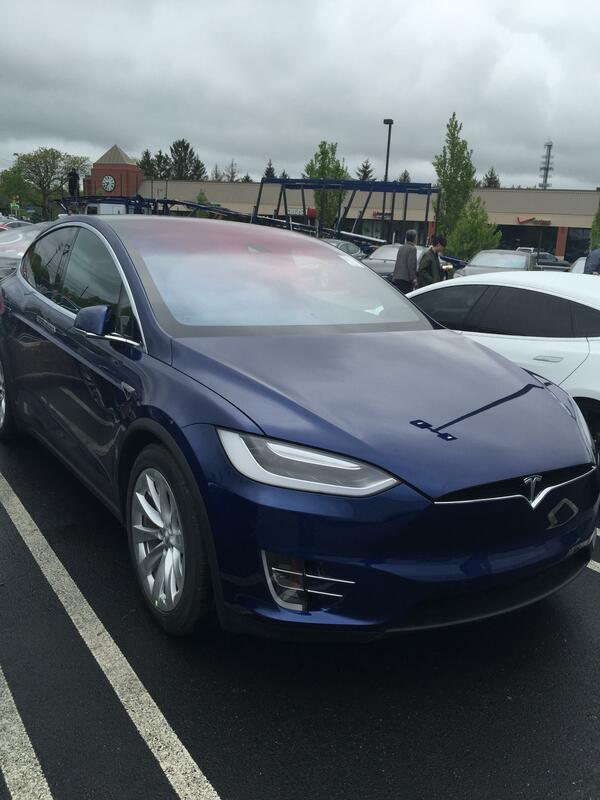 Posted this on the FaceBook Model X owners page as well. My wife took these on her trip up to the Snoqualmie pass ski area in the Cascade mountains (Washington state). Enjoy! Gorgeous. Must have been quite a drive with the view through that massive windshield. Thanks for sharing! Tried to give you more rep but apparently it's "too soon." Snoqualmie pass ski area in the Cascade mountains (Washington state). Enjoy! Love it! I used to live/work in the area and have a blue metallic on order! It is always interesting to look at colors on the web, but I try and not draw too many conclusions from them. To illustrate this point compare the first sets of photos with the latest. I much prefer the quality of blue in these last set of photos than the earlier ones. But that is probably because I would prefer a less flashy slightly darker blue. The latest photos are in the shade which helps, but so are the photos of the X indoors. The difference here is an artifact of how auto exposure works. All cameras try and average all the light values to certain percentage grey. That is why so often snow in photos are grey as the snow is in these photos. When the snow is grey, you can bet all the rest of the colors in the photo are rendered darker as well unless careful shooting and /or editing is done. 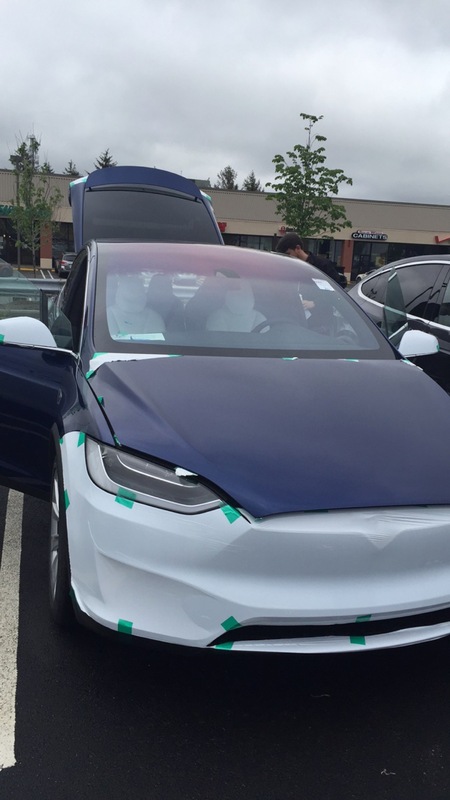 My conclusion, be careful choosing the color of your Model X from photos. ohmann I apologize if my comments like this clutter your thread when I know you want it to focus on photos, but it seemed relevant and I hope helpful to people choosing their colors. ohmann I apologize if my comments like this clutter your thread when I know you want it to focus on photos, but it seemed relevant and I hope helpful to people choosing their colors. I think it's very relevant and always good advice (for any color). Great shots! I am even more certain it is the right color for me. Ok, I, perhaps like you, like a richer deeper blue. But, in photos I prefer the white X's, but in person I am tilting toward the blue, despite you claiming online the blue looks better to you and me. Yet, I'm now worried the blue is too silly (bright), and am wondering again about the white. Ugh. I wish I had one of those color changing paints. I use an iMac Retina 5K 27", (in 5120x2880 mode but that makes no difference color-wise), and the snow looks white to me, not grey. Go with what you liked in person not what some silly guy :tongue: said about photos of the blue online. Wow! That is an amazing shot! Thanks for sharing. What a fantastic pic! Looks like it should be framed for Tesla advertising! I'm even more excited about the blue now! Thanks for posting. Awesome photo! Can't wait for my Blue! 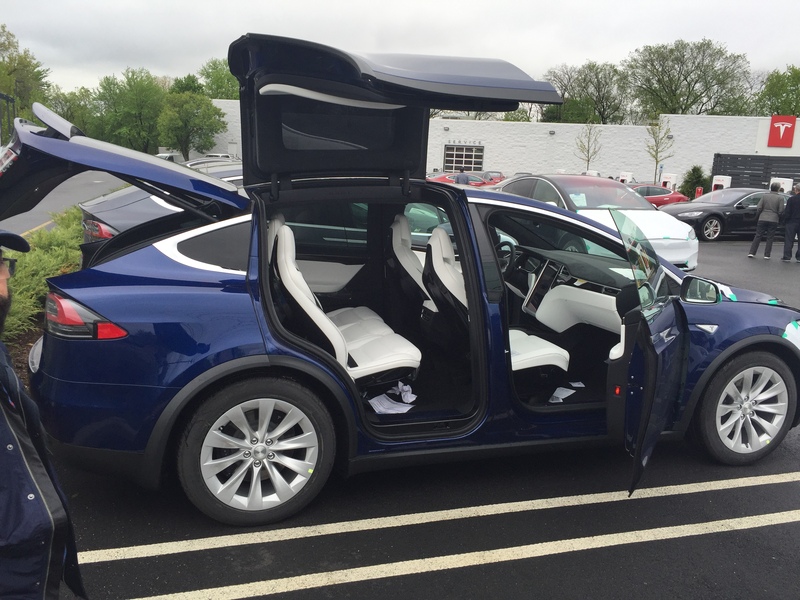 Flew from Toronto to New Jersey for a few hours last Saturday for the sole purpose of checking out the Model X's on the lot (they had lots!) and got a few pics of each colour!